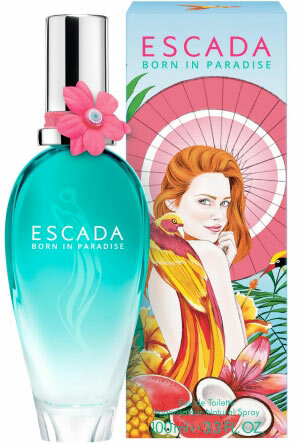 Escada has been launching summer fragrances every year since 1993. And now it announces the release of a new fragrance of the 2015 season. This will be Turquoise Summer. The idea of the fragrance is to convey the atmosphere of summer gardens and colorful butterflies. 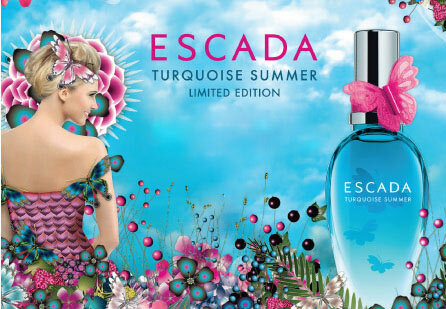 Escada Turquoise Summer composition is juicy and fruity-floral. The top notes include pineapple, strawberry, tutti frutti. The heart notes are represented by a floral bouquet. The base notes are vanilla and black currant. The fragrance comes in a bottle with recognizable design, but in turquoise hue with a new print on the box, as a toilet water (Eau de Toilette, 30, 50 and 100 ml).